Young ad film maker Dileep G.J who has an experience of staying behind the camera working with more than 50 commercials is thinking serious about directing feature film too. After 2 and half years of premeditated thoughts, the youngster is gearing up to shoulder his debutant venture which will be creamed with humour. 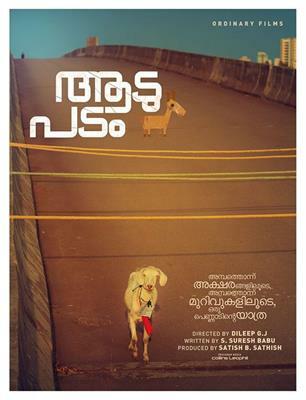 Titled 'Aadu Padam', the story is all about the travel of a goat from Marthandam to Kasargode and during the travel, current social and political issues in the State is being analyzed. From the words of the director 'Once Upon a time lives a goad who told her tale boldly in the land of humans'. This would be the director's vision to think different and look at issues through the eyes on animal. With most of the stories told from the human point of view, it would be Dileep's deliberate decision to focus his camera onto another angle. Politics, love and other interesting issues will add more interest to the story which can keep the audience intact. Written by S Suresh Babu, the movie is being produced by Satish B Satish under the banner 'Ordinary Films'. After the final cast, the movie will start rolling from 1st May 2014. It would be dream come true for the young film maker who had been a part of various commercials including that of Popular Finance, SKP Timber and Muthoot. Another exciting fact is the announcement of another project ventured by Midhun Manuel Thomas which is titled as 'Aadu' which comes along with a tag line 'Aadu oru bheekara jeeviyaanu'. Both the movies were announced on the same day with similar titled while a Got would play the lead role in both of these movies. 'Aadu' is produced by Vijay Babu and Sandra Thomas under the banner Friday Films. So how would be the movies? Let us wait for till the third quarter of 2014. John Honai malayalam movie to be directed by debutante T. A Thaufeek will feature Krish J Sathar and Ansiba Hassan in lead. Thaufeek who had been in the industry since 2000 as an ad film maker, actor and producer is gearing up to shoulder his maiden venture which is being creamed with humour and suspense. For the lyrics of Santhosh Varma, the tunes will be set by Alex Paul. Scripted by Fazal, the movie is being produced by P.T Saleem.